Makeup organizers made from high quality acrylic, especially for the IKEA MALM dressing table. Assembled in no time. Due to the customizable plug-in system it´s perfect for storing all your makeup and cosmetic products. Fits into one half of the drawer. 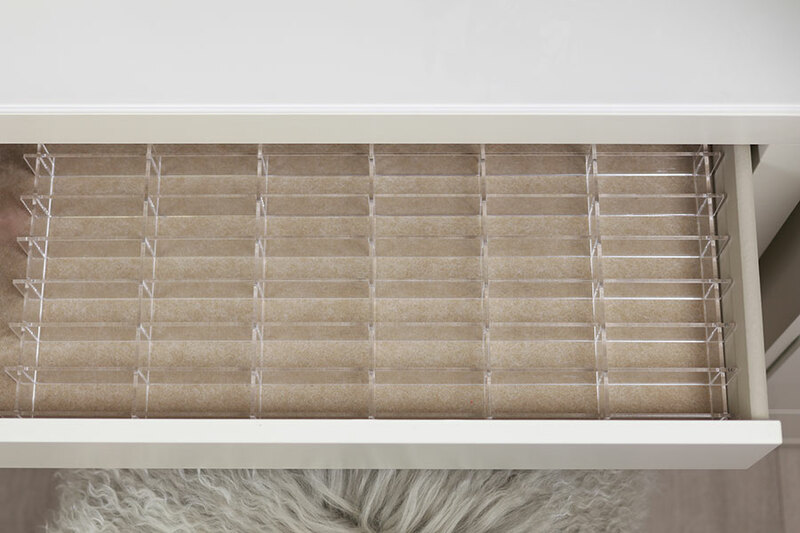 The Dividers for Cosmetics by TidyUps are customizable makeup organizers for your makeup and cosmetics collection and are made from solid 3mm clear acrylic and a perfect fit for your IKEA MALM dressing table. The best solution to keep your makeup and cosmetic products clearly arranged and organized. The Dividers for Cosmetics are assembled in no time. By removing one or more separation bars, you can also enlarge the compartments to your needs - depending on the cosmetics you want to store. The Dividers for Cosmetics fit into one half of the drawer of your IKEA MALM dressing table. 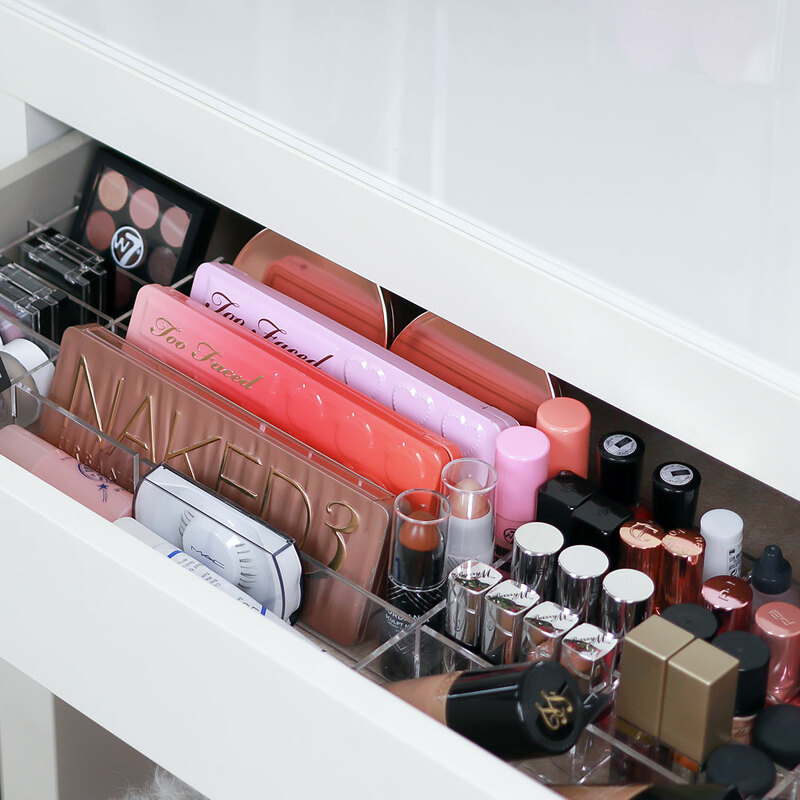 The length of the dividers is based on the drawer extension to make sure you can reach all of your makeup products. So there´s still some space for other items. Organize your makeup collection with the Dividers for Cosmetics by TidyUps - for a nice and clear overview of your makeup treasures! The Dividers for Cosmetics are suitable for organizing and storing compacts like powders, highlighters, bronzers, blushes or eyeshadows, makeup palettes, foundations, lip glosses, lipsticks, paint pots, gel eyeliners, lashes, bottles and much more. 1x Dividers for Cosmetics. The dividers are packed individually. Please note: Makeup and decoration is not included. ** Applicable for deliveries within Germany. Delivery times for other countries can be found at Shipping & Delivery. Copyright © 2017 TidyUps. All rights reserved.